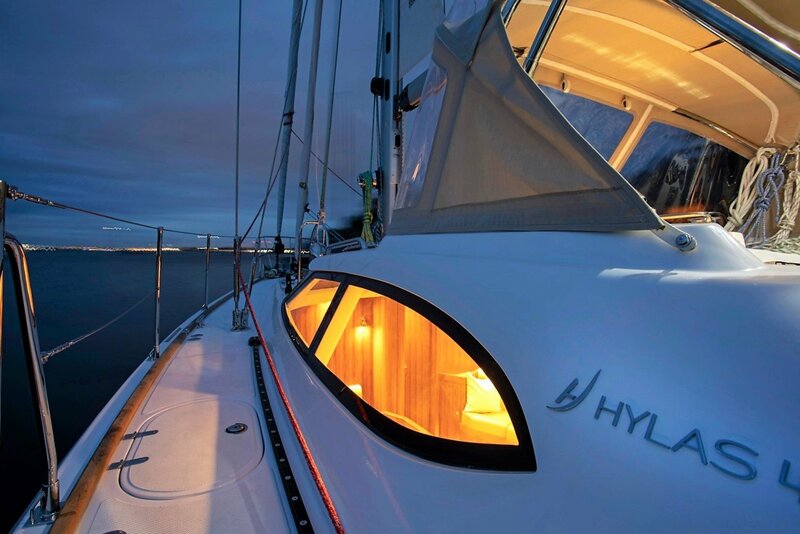 New in its class, the Dixon Hylas H48 was precisely engineered for strength and reliability to satisfy even the most demanding buyer. 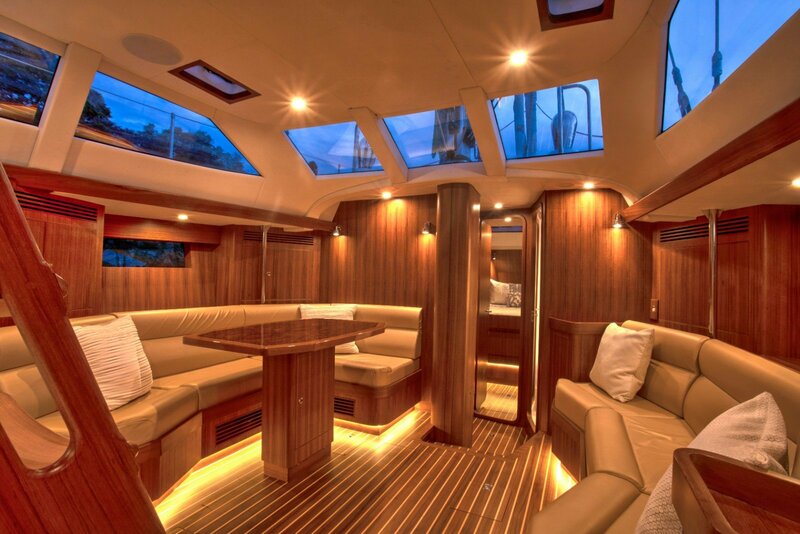 This stately yacht is powerful but graceful which includes sleek raised saloon windows for easy viewing, the choice of two or three cabins and a large center cockpit vessel that will impress any guest. 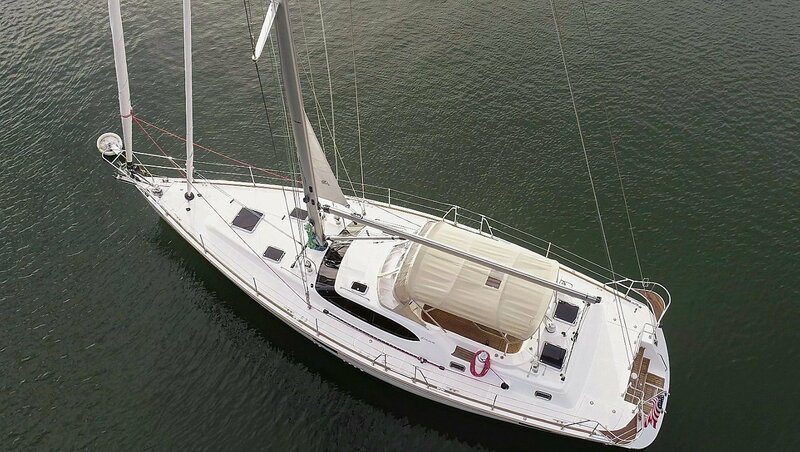 From her near plumb bow to her abundance of volume well well aft of amidships, the new Hylas 48 shares much in common with her larger sisters. 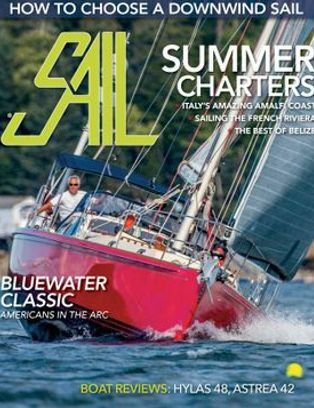 The new Hylas Yachts 48 has proven herself to be a sprightly performer in light airs, yet also hugely capable and reassuring in less favourable conditions. 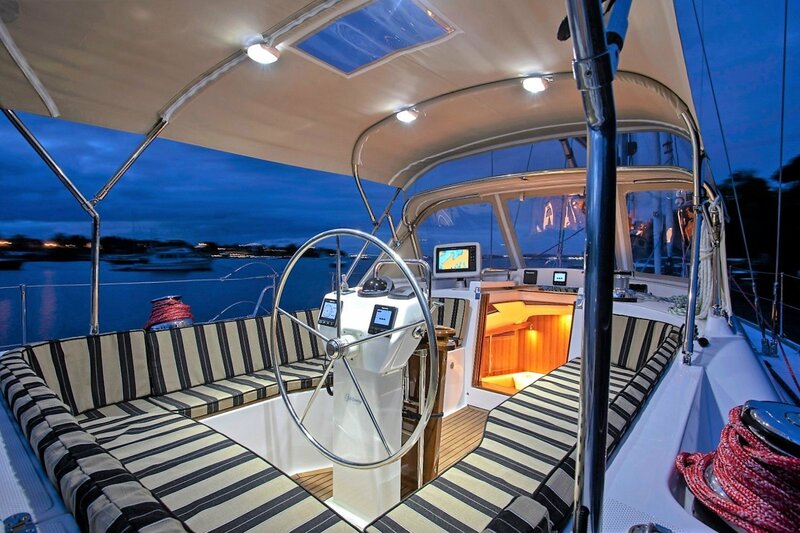 The generously-proportioned and deep central cockpit of the Hylas Yachts 48 is large enough for guests to relax in, while allowing those who want to push the easily driven hull to her potential to control her powerful sail plan simultaneously. 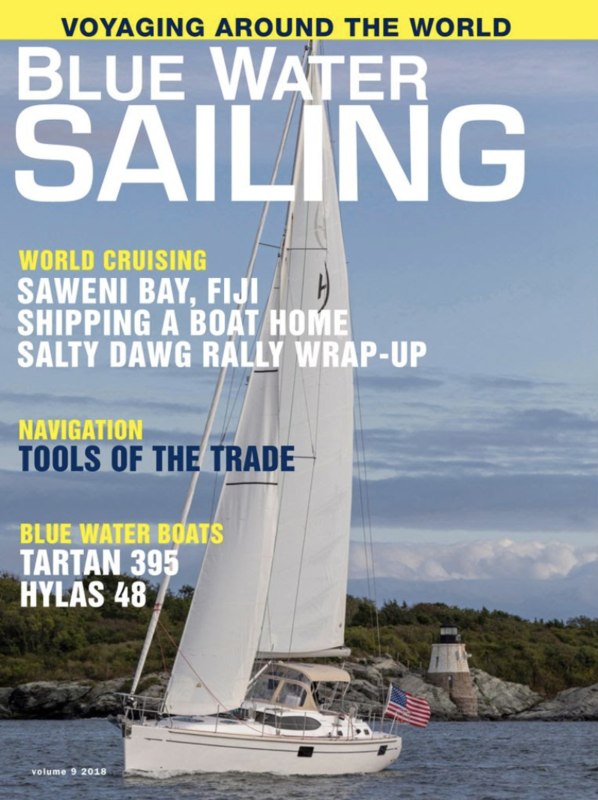 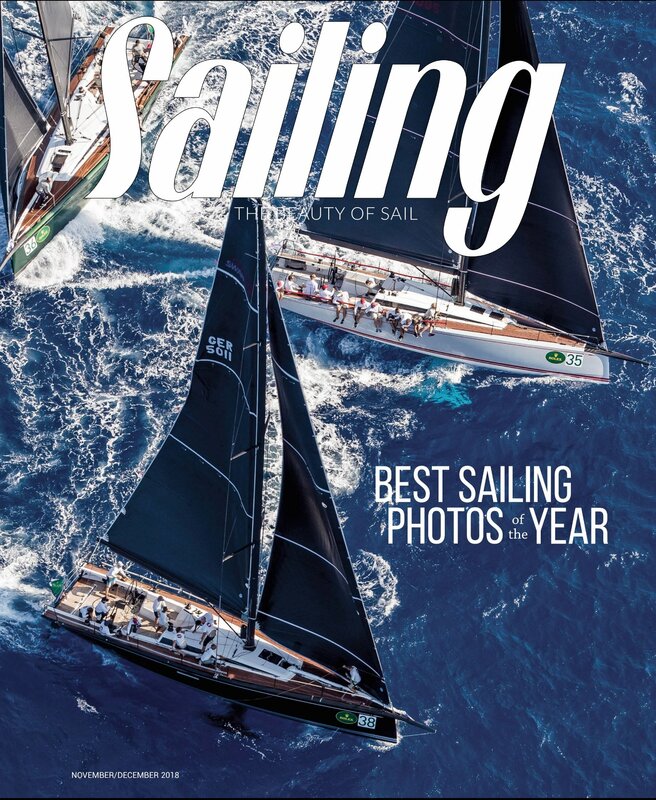 The logical and easily-handled sail plan helps makes this a reality with a self-tacking jib on her inner forestay, and a cockpit requiring only primary winches allowing the cockpit to remain free of unnecessary additional lines. 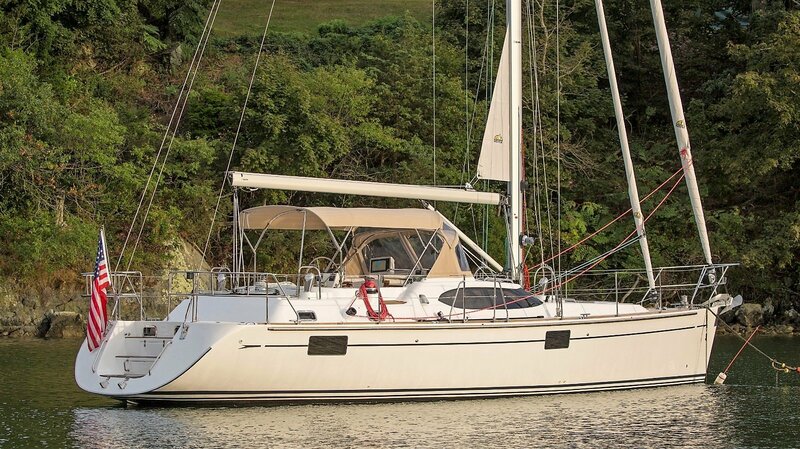 The cockpit and sail plan are complimented by large safe & usable deck spaces and a easily accessible bathing platform within the scoop transom. 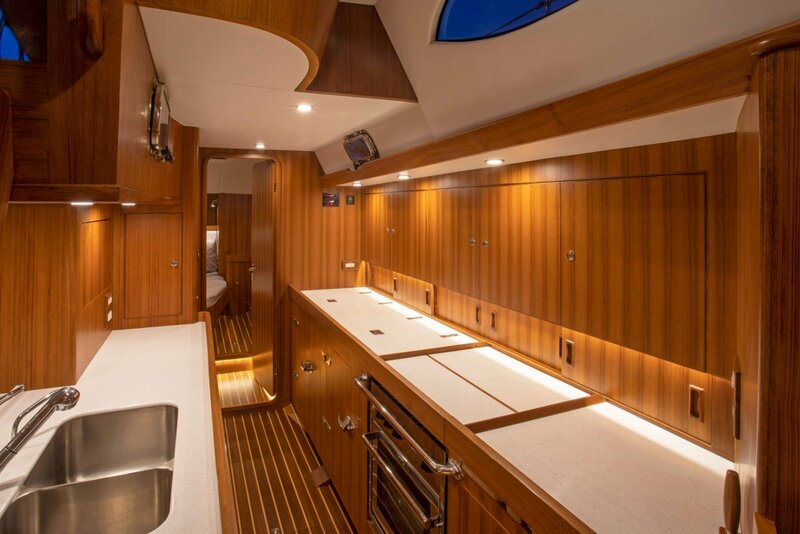 Saloon windows afford easy outwards viewing from the saloon and further add to the sense of volume in her main cabin spaces. 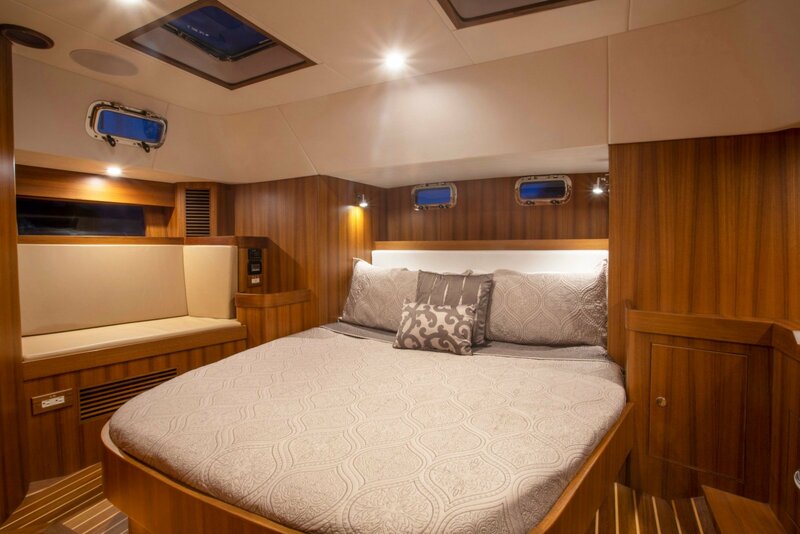 With her bright and extremely well appointed interior, the fine craftsmanship of Queen Long Marine is clearly on display both in her visible areas and behind the scenes. 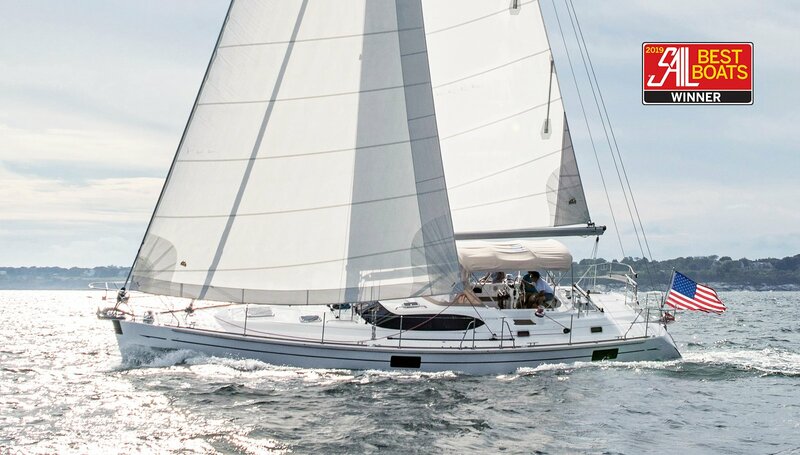 The Hylas Yachts 48 can be built as 3-cabin, 2-heads yacht or as a 2-cabin, 2-heads yacht with two equally impressive staterooms. 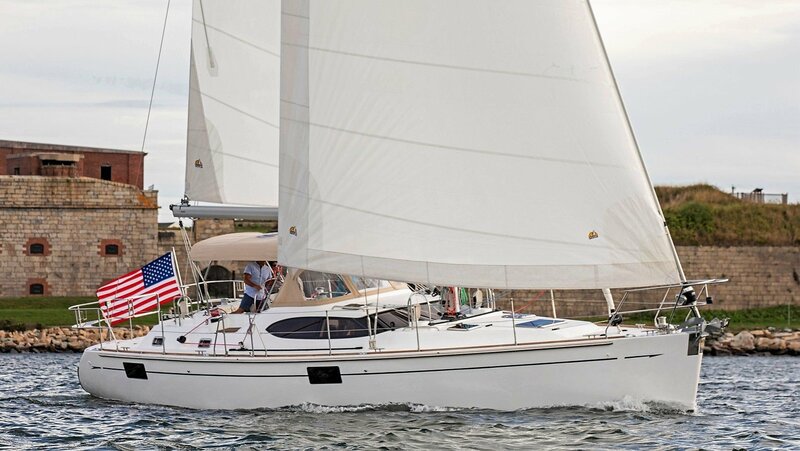 Like other yachts in the Hylas Yachts range, the Hylas Yachts 48 can be easily configured to suit her owner’s personal tastes and requirements. 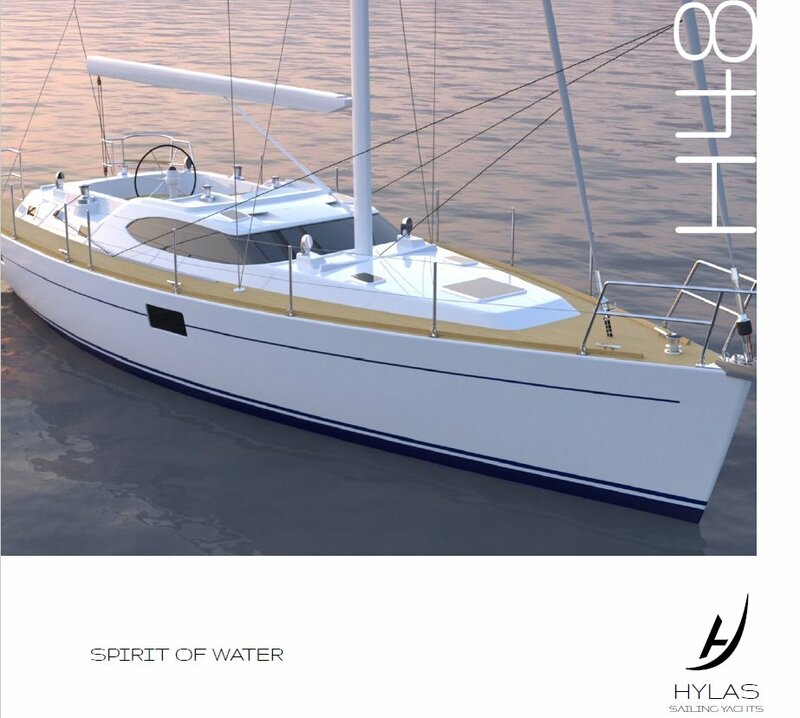 For further information about the Hylas 48 including e-brochures and price lists, please email us or complete the contact form below.